So if you've read this blog for any length of time, you know I'm a huge fan of Dan Wells. Not only did he give me awesome feedback as a "boot camp" critique instructor at a conference several years back, but he's a hilarious and nice guy-- and he writes FREAKING AMAZING BOOKS. And lucky for me, one of my crit partners is his assistant, and I managed to snag and ARC of his next book. So ladies and gents, I give you: The Hollow City. "Michael Shipman is paranoid schizophrenic; he suffers from hallucinations, delusions, and complex fantasies of persecution and horror. That’s bad enough. But what can he do when some of the monsters he sees turn out to be real? Who can you trust if you can't even trust yourself? The Hollow City is a mesmerizing journey into madness, where the greatest enemy of all is your own mind." I read the entire thing in one sitting. I mean, did you read that cover copy with that brilliant premise? How could I not keep reading? The murder mystery angle gives the story a familiar base to start from, and from there it twists off into one of the freshest reads I've had in a while. Dan has a real talent for taking slightly twisted characters (like John Cleaver in I Am Not a Serial Killer) and making them sympathetic and engaging. Michael, the main character, was one of the most brilliant unreliable narrators I've ever read-- and one that I loved. I spent half the book questioning what was real, and the other half of the book constantly going OH MY GOSH, WHAT?? Seriously, people, I cannot recommend this book enough. And now for the writing lesson from this. I saw Dan at the Storymakers conference back in May, and told him how much I loved the book. He laughed and said he was glad to hear it. He said he loved it, but knew it was kind of a weird book, so he wasn't sure how people were going to respond to it. It does have some weird stuff going on, but this book completely blew my mind with its engaging premise, twisty plot, and brilliant characters. It made me wonder, what if Dan had decided at some point that the book was just too weird, and despite how cool he thought it was, he didn't write it? This is why I think it's important to write what you love. Maybe it's weird. Maybe it's not trendy right now. Maybe it's an odd mash-up of genre's that make it hard to classify. WRITE IT ANYWAY. When you write what you love, that's when you pour all your passion and brilliance into a story that can be incredible. And that's what will make people love it. Wow. This looks like a really great book, and great advice. I found you through ANWA and subscribed. Glad to meet a new friend. i'm jealous too! those wells brothers can really write! i read 'night of blacker darkness' - hilarious! and 'variant' by Robison Wells - excellent! 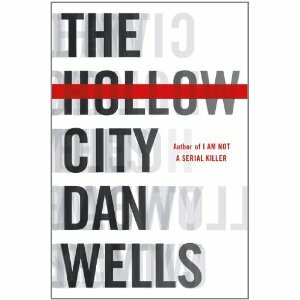 Dan Wells really is awesome and I am so jealous you have your hands on this book! You're lucky to have great critique partners. Dan's book sounds compelling, kind of like A Beautiful Mind (movie). Reading the entire book in one sitting is high enough praise. I'm impressed. The book sounds great. Awesome book review, Shallee! And I appreciate that you didn't tell us too much about the book. :) It sounds really good - especially for me since I'm a psychology major. Would love to get my hands on this one! And I totally agree about how writing what you love is important - perhaps the most important thing for us to do as writers! There's no good in crafting a story you aren't passionate about. Sounds like a fab read, Shallee. Cool on snagging an arc. This sounds like a great book, Shallee. I will add it to my TBR pile. This sounds like a FANTASTIC book! Thanks for the recommendation - I can't wait to read it! Wanted to stop by to tell you the pitch contest with Tricia Lawrence is this Friday, June 29th. You'd commented that you were interested, so I just wanted to remind you! Also, I'm having a "Critique My Query" from now until the contest. If you want more betas for your query, you can check out the details here!